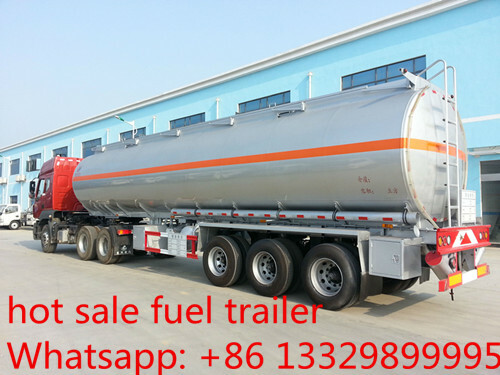 CLW high quality and competitive price fuel tank semitrailers are equipped with anti-static device, 2 pecs of loackable discharge hose carrier on both sides, spare tire carrier, top access ladders, anti-slip walkway, handrail, manhole, fire extinguisher, side lamps and refelctive stickers, ABS, etc. 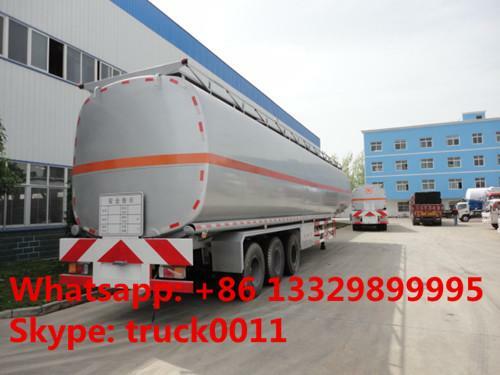 1, the fuel tank trailer volume: 40,000L with single one compartment, adopting Q235 carbon steel; standard device: 6.2mm thickness for the fuel tanker and 6.9mm thickness for the endplates, two sets of aluminum alloy manholes, one set aluminum alloy subsea valve, steel elevating guardrail, static conductive reel coil. 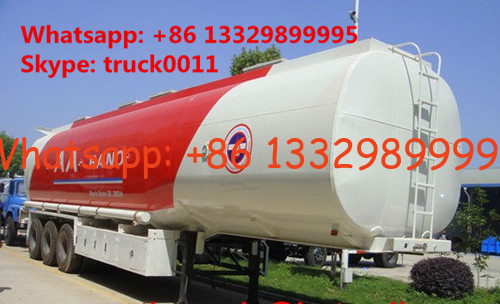 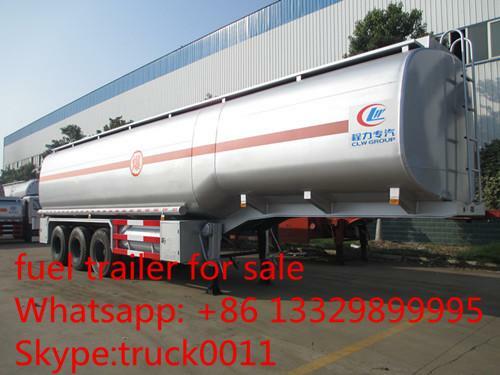 More pictures of hot sale CLW brand carbon steel oil tank trailer as below.